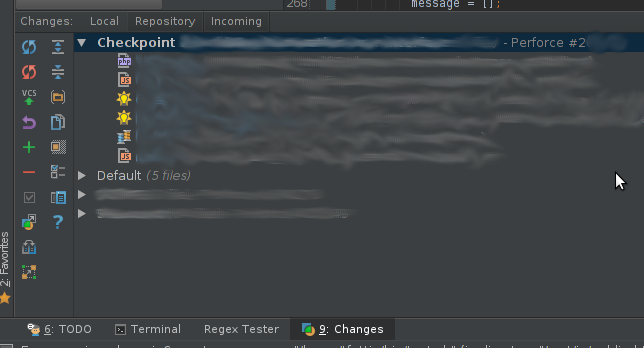 So I got PHPStorm + Perforce + Code Collaborator working together as an external tool, but I want to implement it a bit cleaner in PHPStorm. I have 3 questions/statements that would help me do that. 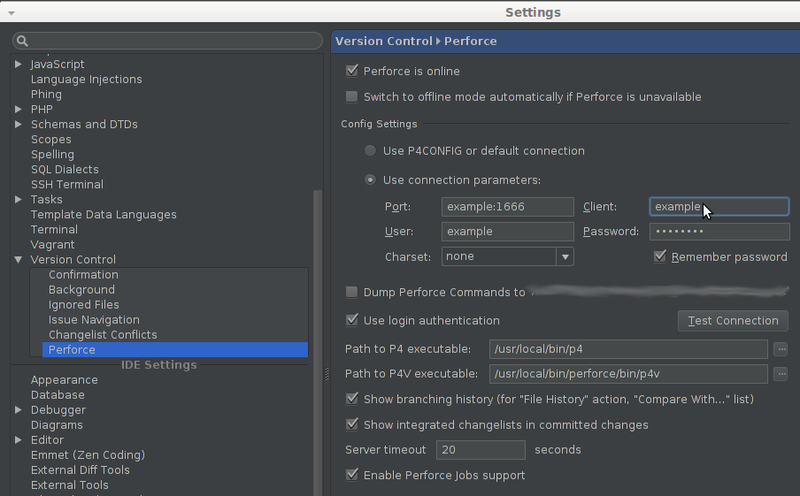 1) I had to hard code the Perforce setting in the external tool, but I want to be able to just use the PHPStorm setting for configurations. I want to change the "-p4user example" to -p4user <use whatever is in PHPStorm>. Same with client and port. 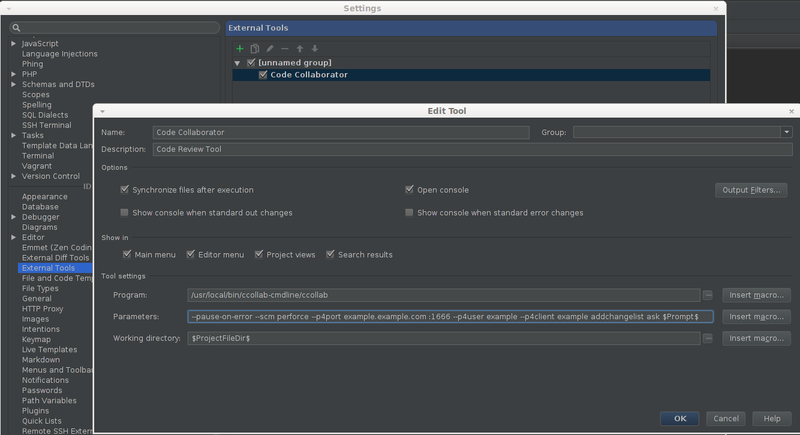 So when I right click on the "Checkpoint" change list the "Code Collaborator" tools shows up on it. Is that possible? 3) Is there a way to change the label of the prompt for the input? I'd like to change the label from "Enter parameters" to something like "Enter changelist number"
Those arguments are "--pause-on-error --scm perforce --p4port example.example.com:1666 --p4user example --p4client example addchangelist ask $Prompt$" if someone needs a copy and paste of it. I have a question to add to that... is there way to reference the active VCS changelist instead of prompting the user?